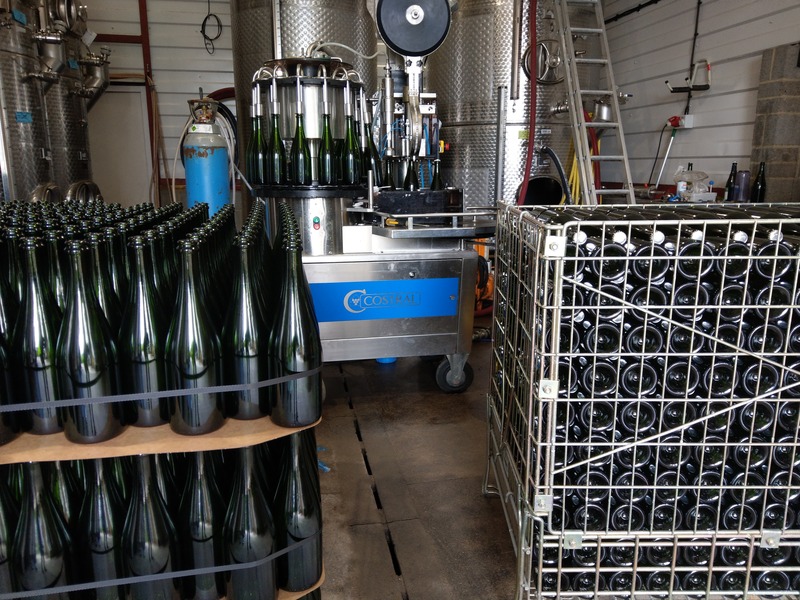 The wines have been in tank happily for the past 4 months and it is now time to bottle them. 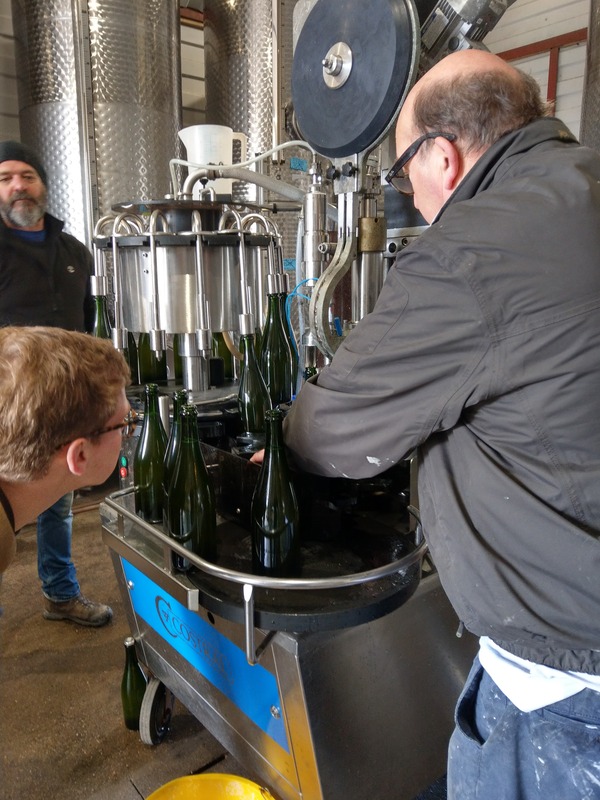 Yesterday we bottled over 6,000 bottles of our Nutty Wild sparkling wine, which is made from 100% pinot noir and only sits on lees for 12 months making it a young and fresh wine. The unique thing about our Nutty Wild is that it is lower alcohol as additions have not been made, so it naturally ferments to 10% – however, after such a wonderful and sunny season last year, the alcohol content this year will be closer to 11%. 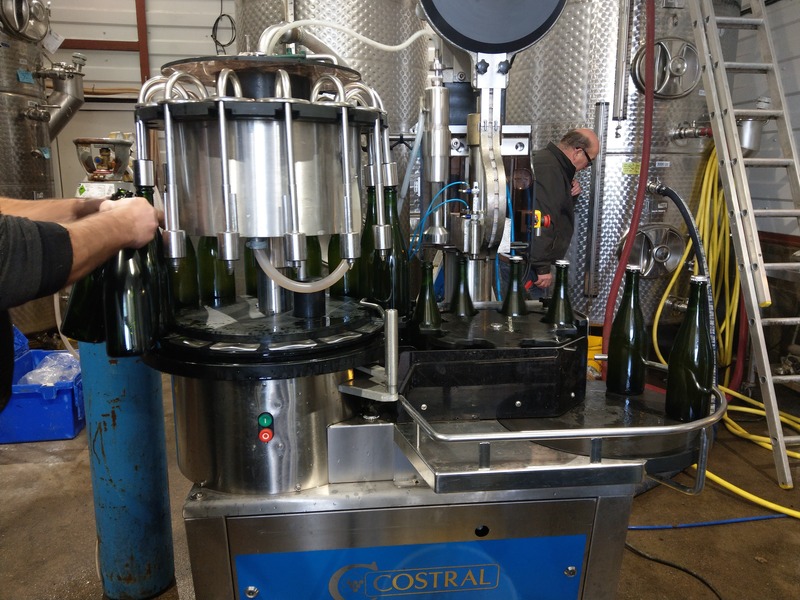 For bottling it is all hands on decks as there is a lot to bottle and we only have a small bottling line, so we want to ensure that everything goes smoothly. 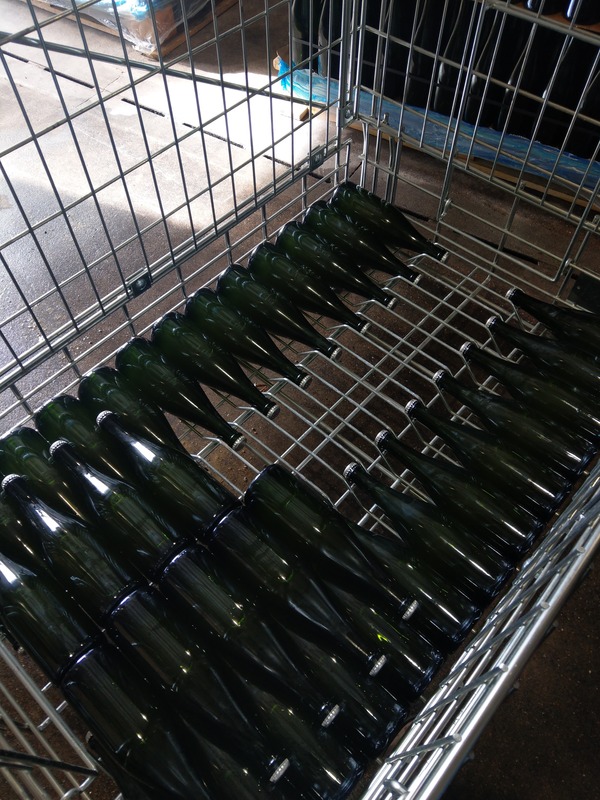 After the bottling line is set up and the wine is prepared we all assemble in our positions; there will be someone placing the bottles on to the bottling line, then someone collecting the bottles at the other end to lie the bottles on their sides in a crate, and then someone in-between to help either side. 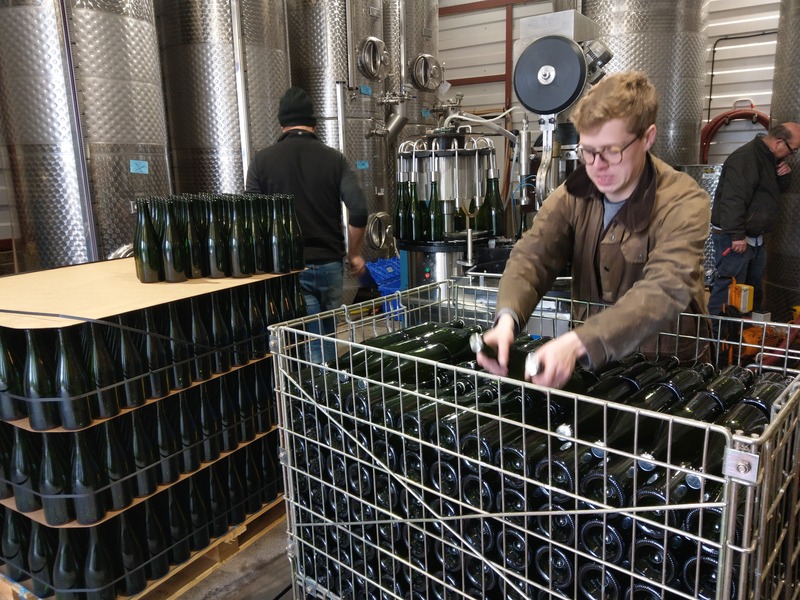 Once you get into a rhythm the whole process goes fairly quickly, and before you know it, all the wine has been bottled and it is time to clear down.